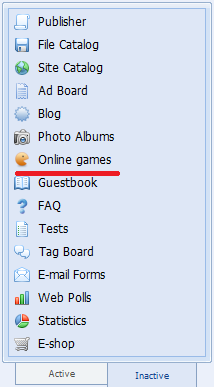 Online Games are very popular on the Internet nowadays. Building a game website is not only fun for you and your visitors but it can also bring you some profit. And creation of such website does not require any specific knowledge. Moreover, there are website builders and scripts that let you create a game website with a certain number of pre-installed games on it. I use uCoz for this purpose – it has all-in-one features: free hosting + website builder with Online Games module that can be installed full of games. So how do you create a game website step by step? 1. Go to uCoz.com and register a free website. - Choose one of the options – you can either install an empty module and then add games manually, or you can choose the option with pre-installed games (in this case you will also be able to add other games to your website). 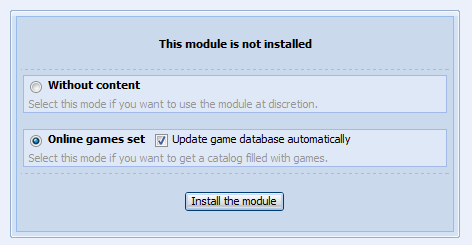 If you mark the option “Update game database automatically” the pre-installed games will be kept up-to-date automatically. Click “Install the module”. 3. Search for other online games for your website. There are a lot of websites that offer games for free. The more often you update the website, the better. 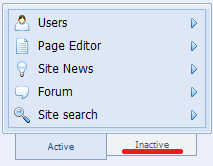 You can also install the Forum module where your game community will be able to discuss games, and Web Polls to find out what games interest your website visitors to make the website even more popular. Also remember that any of uCoz designs you selected can be customized as you like, which will make your website unique. Click the link and create your own Game Website. Good luck with your new game website! P.S. This website is built on uCoz and the Game Module is installed. You can customise it for youself as you wish. How to Create a Free Clan / Guild Website.